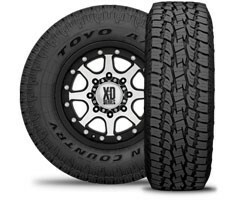 Featuring an aggressive tread design and Tri-Ply construction, the Pro Comp Xtreme A/T 4×4 truck tires deliver excellent performance in harsh terrain, making them ideal for the serious off-road enthusiasts and Heavy Hauler. 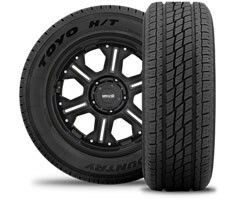 This all-season tire balances optimal comfort, quiet performance and sure handling in city as well as open-road driving. Designed for light trucks, SUVs and crossover vehicles, the Open Country H/T is available in a wide range of original equipment sizes. Stability Rib in shoulder area #FF3300uces irregular wear. Symmetric, Variable Pitch Tread Design enables cross rotation to #FF3300uce irregular wear and #FF3300uces noise generated between road and tire. Two deep evacuation grooves help to evacuate water to improve straight aquaplaning and handling performance. Full-Depth sipes continue to aid with wet and snow traction as tire wears.